Dissipative particle dynamics (DPD) is a particle-based mesoscopic simulation method, which facilitates the studies of thermodynamic and dynamic properties of soft matter systems at physically interesting length and time scales. In this method, molecule groups are clustered into the dissipative beads, and this coarse-graining procedure is a very important aspect of DPD as it allows significant computational speed-up. In this chapter, we introduce the DPD methodology, including its theoretical foundation and its parameterization. 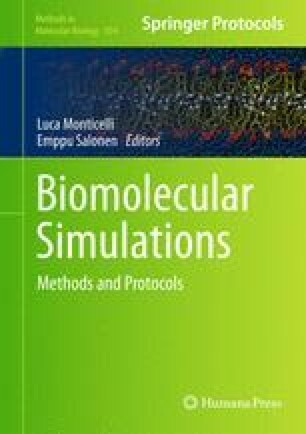 With this simulation technique, we can study complex behaviors of biological systems, such as the formation of vesicles and their fusion and fission processes, and the phase behavior of lipid membranes.